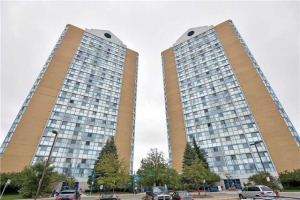 Address: 25, 35 Trailwood Drive The Anaheim Towers I & II, located centrally in Mississauga, are only a short distance away from all of city's local amenities. This list includes malls, parks, schools, community centers, services and more. It neighbors within a mile’s radius of the Central Library, Community Center, Mississauga Civic Center and Square One Shopping center, which is home to more than 350 specialty shops and services. Highways 403, 401, 407 and QEW are barely minutes away as well as the interconnected network of roads within Mississauga. This provides easy access to restaurants, services and all public transportation systems including MiWay, TTC and GO transit. Toronto International Airport can also be reached within 15 minutes, making it the optimal location to reside in. The Anaheim Condos can be found on 25 and 35 Trailwood Drive, located east of Hurontario and north of Eglinton. Both condominium buildings offer all the amenities and luxuries you need at an affordable and economical cost. The accommodations have been designed for utmost comfort and luxury living with visual appeal. The designers have not left any stone unturned to create the most efficient layouts. Every condo unit combines living/dining rooms, some of which are in the classic L shape. There are also two bedroom suites with a master bedroom accompanied with a lavish ensuite bathroom. Hardwood and laminated floorings that are present in units brings style and elegance to the condos available features. The architectural design of each unit is based on easy usage via efficient layouts and having exclusive features that are only unique to Anaheim condominiums in Mississauga. The way Anaheim Towers are situated on Trailwood Drive allows for a remarkable view of the city's expanse. Triangular roofs coupled with large bay windows spanning from the floor to the ceiling are among the key features of these Mississauga condo buildings. The newer architecture has been specially designed to offer the best living experience in the city. The bay windows give a clear view of the horizon, as they open up scenic views of Lake Ontario and the skylines of Mississauga and Toronto, offering a stunning view of the sunset like no other. This of course is dependent on the orientation of your condo unit. Together with luxury, one of the highpoints of this building is the availability of amenities like the exercise room and the gym, alongside many other features. These include a swimming pool, well maintained gardens, whirlpools, saunas, racquet sports facilities (squash, tennis), billiards, and recreation and party rooms. There are even barbeque facilities available! 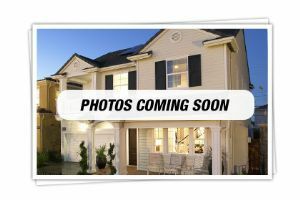 With all these features in tact, Trailwood Drive Condos are located just minutes away from the local community center which offers additional luxuries like golf, skating rinks, the library etc. 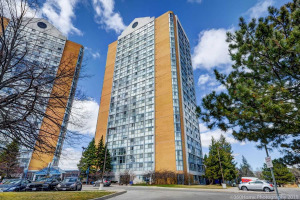 If you wish to live in the spirited city of Mississauga then there is no other place that will offer you the all-inclusive living experience that Anaheim Towers do. These condos provide what anyone, be it a business person or student is looking for. They offer comfort when you need to rest, the best views to relish, and the best location to allow you to rush off and get you where you need to go, whether you have a car or not. You can go shopping, eating out, experience nightlife, and access the public transportation systems to zip to anywhere you want. If you need a chic yet practical living space, then Anaheim Towers are the place to be!